Meet Raymond Yap and Peggy Lim! Raymond and Peggy Lim are managers at Bluefin Hibachi and Sushi in Gainesville. Raymond has three boys and lives in Cobb County and Peggy Lim lives in Hall County and they are both originally from Malaysia. If you haven’t been to Bluefin, or it’s a been awhile, you need to stop back in for their amazing sushi, lettuce wraps, soups, hibachi and so much more! The restaurant recently won Best of Hall County awards from The Gainesville Times, in three categories, congrats! 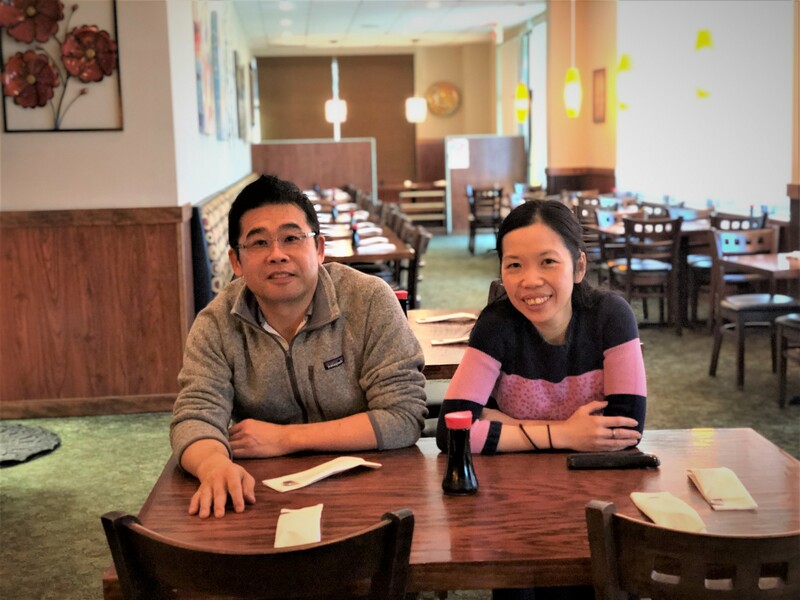 We would like to thank Raymond and Peggy for taking the time to sit down with us and tell us about their restaurant and love for Hall County. A: “When I graduated from college I needed to find a job and my sister actually mentioned a restaurant that was hiring and since then I have been interested.” said Raymond. A: “We are originally from Malaysia but we have lived in Hall County for almost five years,” Peggy said. A: “To have my restaurant become more known.” said Raymond. Q: If you were cast to be in a major motion picture, who would you want to be your co-star? Q: If you could have any full-time staff member in your house, what would you want them to be?